The drop-in underwater treadmill is an excellent piece of exercise equipment for clients with an existing pool with a fixed depth. 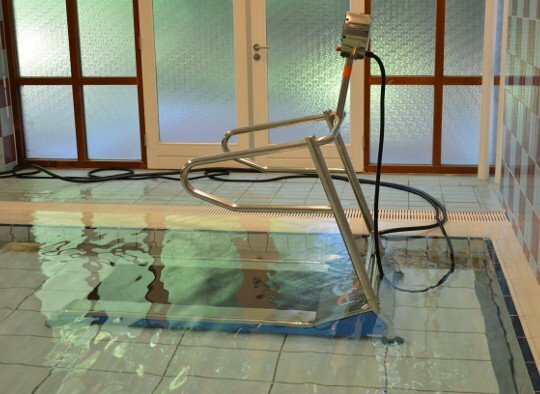 The underwater treadmill is freestanding and can be placed on the bottom of a swimming pool in any position. This turns the pool into a multi role, low impact exercise environment. If the pool is needed for other underwater exercises, the underwater treadmill can be completely removed out of the pool. It can be used in virtually any existing pool situation and works plug and play. 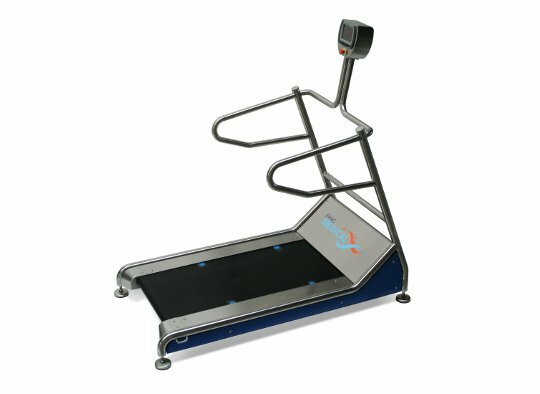 Exercising on an underwater treadmill is an excellent combination of weight bearing reduction, while at the same time the patient can perform walking exercises to mobilise otherwise stiff or injured joints. Underwater treadmills are the pinnacle of underwater exercise equipment, and can be used for low impact obesity treatment. The strict walking rhythm it imposes has added value in neurology. We offer the biggest collection of publications about hydrotherapy. EWAC Medical has been designing and building movable swimming pool floors for over 25 years and has successfully finished more than 1.000 projects worldwide. 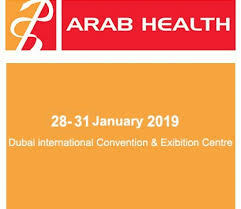 We continually work on improvement and innovation. 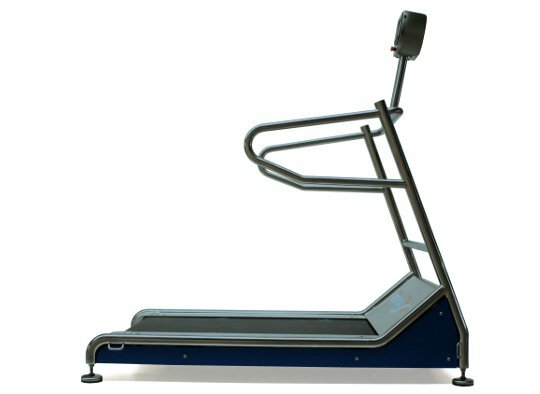 Even though underwater treadmills are a relatively new development, experience with these products is increasing rapidly. 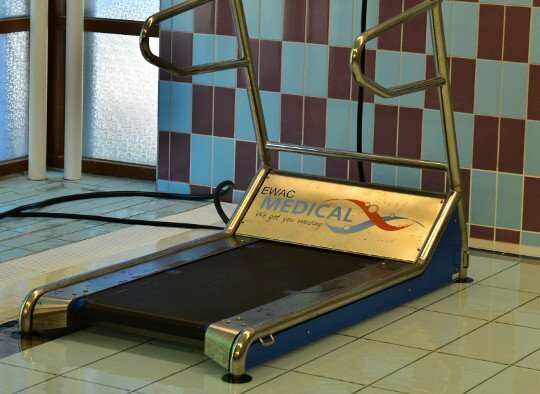 Underwater treadmills can be integrated in any of the current EWAC Medical products which makes our proposition incredibly competitive.